It’s safe to say that Paul McCartney successfully washed away any residual disappointment over the postponement of the Nashville stop of his “Out There” tour. Playing a nearly 40-song set that included new songs, Wings favorites and Beatles standards, McCartney put on last night’s performance at the Bridgestone Arena with a mesmerizing energy. His live show is unparalleled, even at this point in his career; the set was longer, denser, and more captivating than anything anyone else is doing right now. 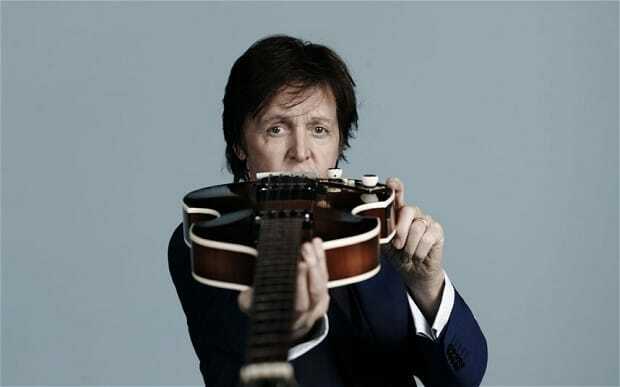 The former Beatle was equipped with an arsenal of instruments, including the very model guitar he used when recording “Paperback Writer” (one of the show’s highlights) and a ukulele used on “Something,” played in tribute to George Harrison. McCartney ended the show with two encores, both full of Beatles songs. His first return to the stage was with “Day Tripper,” followed by “Happy Birthday” and “I Saw Her Standing There”. He closed out the show with “Yesterday,” “Helter Skelter” and a medley of songs including “Carry That Weight” and “You Never Give Me Your Money”. From his first note to his last, McCartney put forth not only an aesthetically and sonically pleasing show, but an emotionally pleasing experience as well.